When you're hired to perform at a wedding ceremony, you're not just booked for a gig- you're booked for one of the most special memories in your client's life. This is why our top wedding entertainers cannot stress enough the importance of preparing the perfect wedding repertoire. 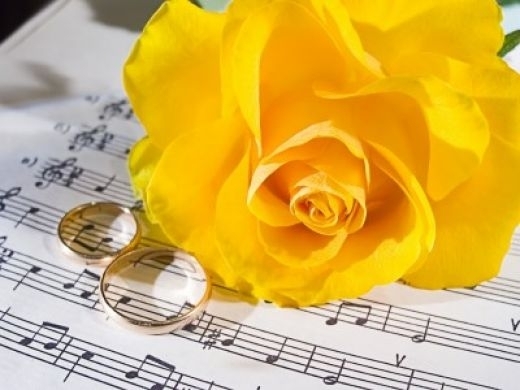 We're sure you know Pachelbel's "Canon in D" like the back of your hand, as well as some of the other classic "must haves" that are traditionally played at wedding ceremonies. However, the times are changing, and modern music is making itself a home in ceremony set lists. We have asked some members for their input on classic staples and more modern tunes that can make the most magical wedding ceremony for your clients. Check out the results below! While many brides will tend to stick with the classics for the processional, these more modern tunes are great to play while guests are being seated, or while they leave. (We personally think "Happy Together" makes the perfect upbeat exit tune!) Our members agree that having a diverse ceremony music repertoire will certainly give you a unique advantage over other musicians. So, when a wedding client asks if you play modern ceremony songs, make sure you can say "I Do!" Any songs we missed? Share your thoughts in the comments below.